Wow I love this! How old is it? Torchwood? It's back soon isn't it? I was wondering what that was at first! In the absece of Dr Who I shall be watching! Torchwood, Yah can't wait for it to start again… Is this a photo from the set? Took me a minute to recognise what I was seeing – hubby (being a DW nut) would not be impressed with me lol! YAY! Torchwood! But will it be the same after all the changes last series?? WOAH! 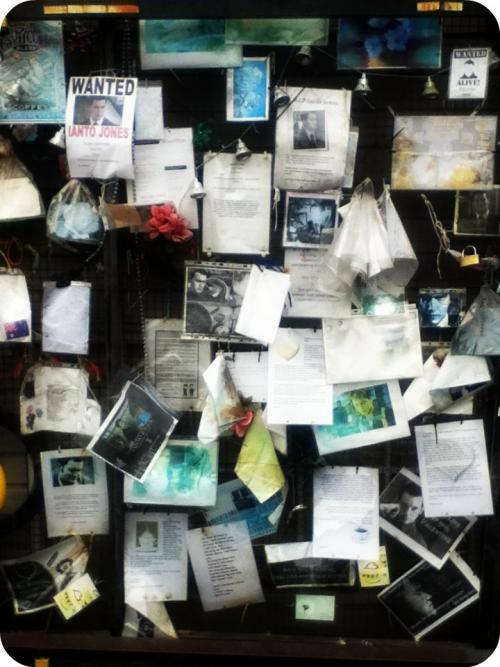 Did you meet the 'How dare you kill off Ianto Jones' Torchwood patrol?? I have no idea what this is…..some mention Torchwood…..I'm still none the wiser I'm afraid! No idea what the pic is…but I love Torchwood!!! Am a bit like the rest of us, you have to tell us what this is? Aside a great picture of course! Really interesting photo. I was always interested in Torchwood but never got to watch it. Might now!